BikeMe is conveniently located on Orewa’s main road opposite the beach. No one should be without a bike as cycling is a great way to experience all New Zealand offers. 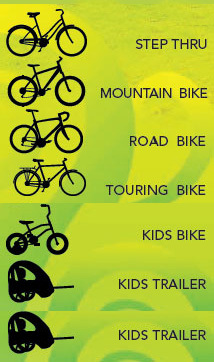 We have a range of bicycles to cater for everyone’s enjoyment and we’ll endeavour to meet all your needs. Bike rentals include helmets & appropriate accessories. * refers to Kids Bikes and Kids Trailers.